Actually he was credited. His last name was Ousley. 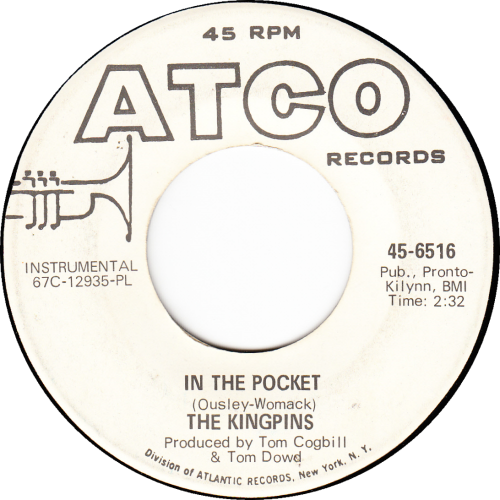 I meant that he was not given an artist credit, as he was with most of his other Atco singles - "King Curtis and the Kingpins" as opposed to just "The Kingpins". Ah, my mistake. You have such a knowledgeable blog, I was surprised you missed it. Also enjoy your contributions over at 45 Cat. Thank you, I appreciate it! What is your handle on 45cat?